Welcome to another episode of the Self-Publishing Roundtable. The weekly self publishing news and interview show, for indie authors, by indie authors. The You Tube video will be embedded at the top of this post at 10pm EST so you can watch the show from the Roundtable’s website. This will be the last show airing at 10 pm EST, starting next week the Roundtable will air on Thursdays at 9 pm EST. 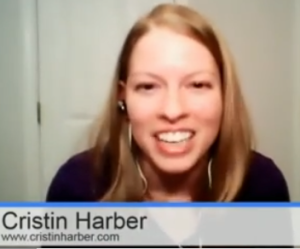 Tonight we welcome romantic suspense author Cristin Harber to the Self-Publishing Roundtable. Cristin is the author of the Titan romantic suspense series. After attending RWA nationals in July of 2013 and listening to Liliana Hart’s new author launch strategy, Cristin scrapped her plans and took steps to release five titles at once. (a collection of novels and novellas) Her books released the last week of September and quickly hit the tops of the romantic suspense bestsellers list. Through October alone, she sold 20,000 copies. We’ll be talking to Cristin about this launch strategy, as well as how she’s been keeping the books moving since then. Congratulations to Cristin as well for the release of Titan #6, Savage Secrets, which released this past Saturday, February 22nd. You can find more information on Cristin through her website. The audio download (mp3) is now attached to the post for those who want it. @Carl Sinclair Thanks, Carl! I've been downloading them and converting them myself, so this is a big time saver! Who's all in for an after party? @xgranville @MelissaLummis Xavier, you setting it up? i'm in briefly. @BuddyGott @xgranville@MelissaLummis Can you set it up? I'm just going to step out for a smoke. Trish is in for a bit I believe. @xgranville @MelissaLummis Lisa wants in too. I can invite her. @BatmanErica @BuddyGott @xgranville @MelissaLummis BatmanErica, do I know you by another name??? Wade's new nickname is Judge Fudge. Spread the word. Cristin, who did your covers? They're great. Must have missed it when she mentioned it. @writerwade I linked to her designer. Not sure the point Melissa, but she did mention her. I know funnels are wonderful....but whenever it gets mentioned during these shows, it makes me think of funnel cakes. Mmmmm - funnel cakes! @BatmanErica @writerwade Another delicious thing. What other formats are you most interested in delving into with your stories? i.e. audiobooks, audioplays, television series, films, games etc. John Wade: comic genius. Seriously. @BuddyGott John Wade is even better. He's not John Ward, he's not John Wayne. He's John Wade. You're always thinking about me Buddy. @xgranville @BuddyGott Wade, it's true. I'm not proud. I'll admit to that. @Carl Sinclair my mom's what? @Carl Sinclair Later, Carl. Be one with the force. SAD TO GO. By I got work to do on the #supersecretproject .... LATER GUYS! See you tomorrow Buddy! Thanks for hanging out Jay.